Stay Dry! 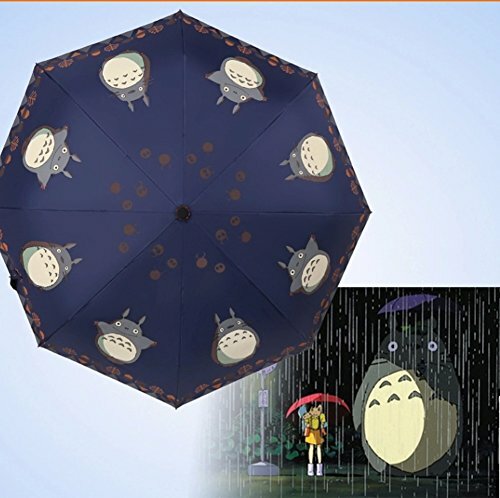 Find your Perfect Studio Ghibli Umbrella HERE! 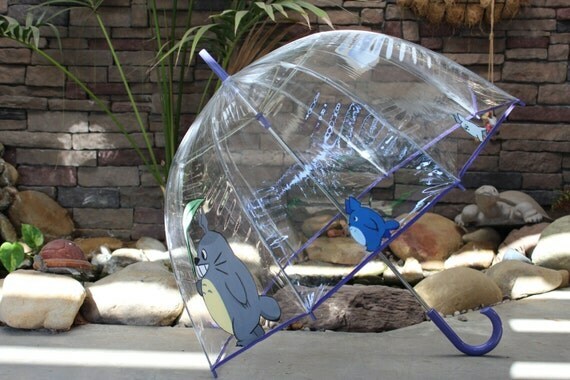 Home » Clothes and Cosplay » Studio Ghibli Umbrella- Protect Yourself from Sun AND Rain! 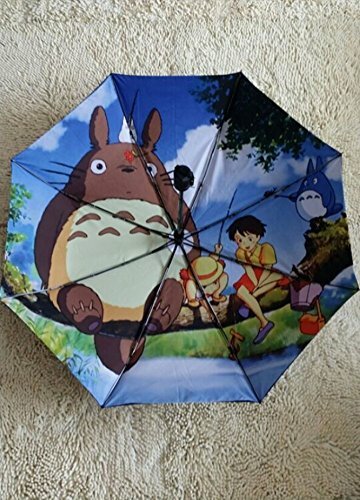 Now that the rainy season is upon us, it’s time to bring out your Studio Ghibli Umbrella! 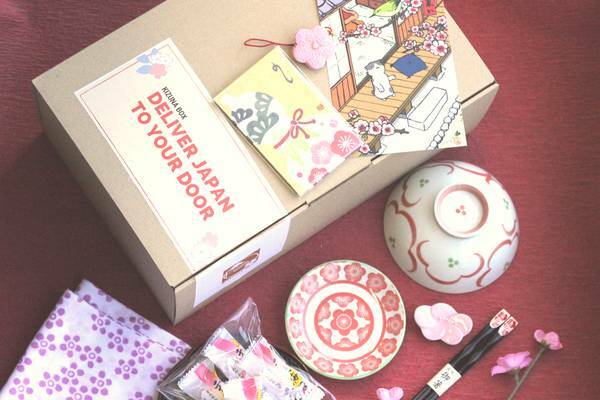 These cute umbrellas are decorated with scenes from Studio Ghibli Films like My Neighbor Totoro, Spirited Away and Princess Mononoke… Perfect for keeping you dry (like the bus stop scene). And then, when the sun comes back out in the summer…. 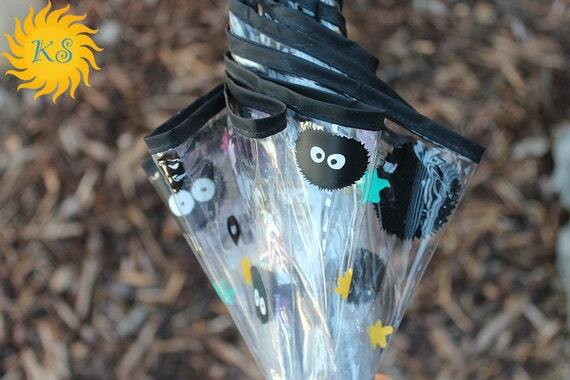 you can use your Studio Ghibli Umbrella as protection from the suns rays! Keep your skin safe! There are so many different Umbrella styles to choose from! Something for every outfit? One to keep in the back of your car? Definitely one for the coat rack at home… and maybe one for your locker at school! Don’t get caught in a downpour without your umbrella! 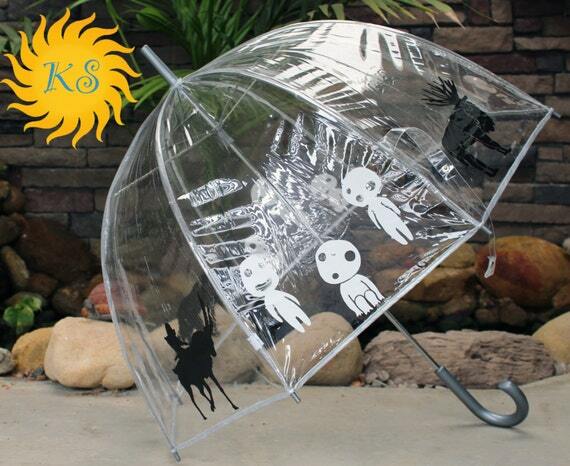 Protect yourself from the elements with is adorable Totoro Sun and Rain Umbrella. The umbrella is double layered to make it extra waterproof. It also will hold up against wind. Use the umbrella to protect yourself from the harmful and damaging UV Rays from the sun. The adorable pattern with Totoro and Mei will make you want to carry it all the time. With just the touch of a button, this fun Totoro Umbrella pops open to save you from Rain or Sun! And when you are done… it collapses easily and into a compact size, perfect for tucking into a purse or pocket. You can get the Totoro Compact Umbrella in four different colors… one for every season? One for every car? And they are priced well! 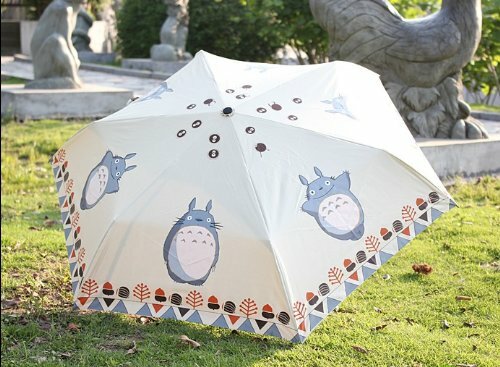 Spin this pretty umbrella, and it looks like Totoro is dancing over your head! 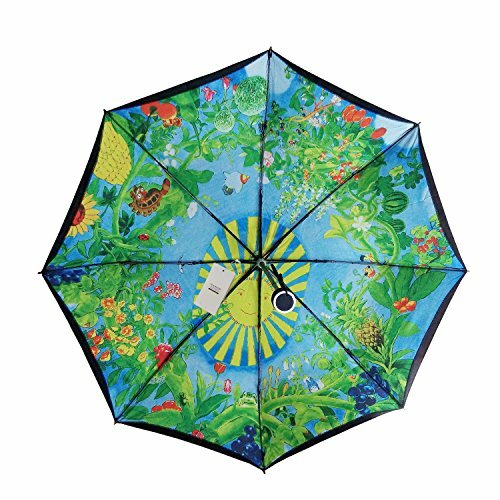 Protect your skin from the sun’s damaging UV rays, take your Totoro Umbrella with you everywhere you go. 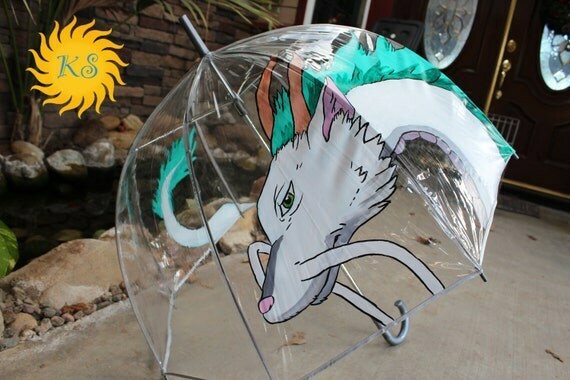 This amazing umbrella is Hand Painted with an image of Haku from Spirited Away. It’s an absolute treasure! 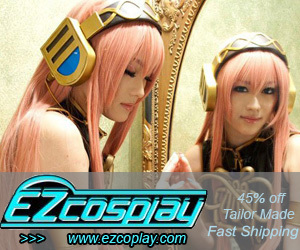 You can even have it personalized to make it easier to keep track of. This tunning umbrella is certain to draw loads of compliments while keeping you safe and dry! 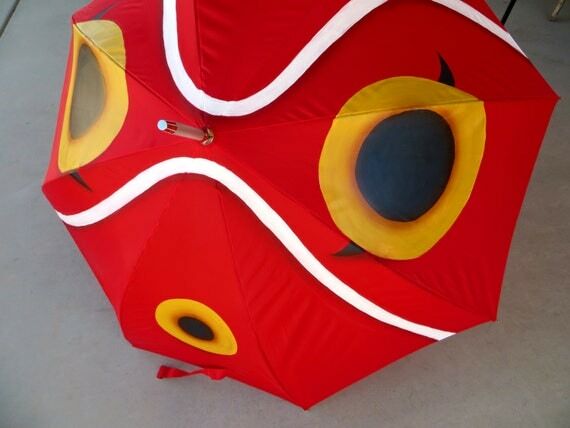 This stunning Umbrella features San’s mask from Princess Mononoke! Hand painted and covered with an Industrial Strength Waterproofing Agent, the image is guaranteed not to crack or peel. Head into the storm, and don’t worry about getting wet while carrying this high quality umbrella. These umbrellas are about as cute as can be! Hand painted with images of Totoro, Soot Sprites and Kodama Spirits… I can’t decide which one I love the most! Bubble umbrellas are wonderful because they really cover your head so you stay dry… and you can see through the plastic, so you can look UP! and watch where you are going! You can get these umbrellas personalized! 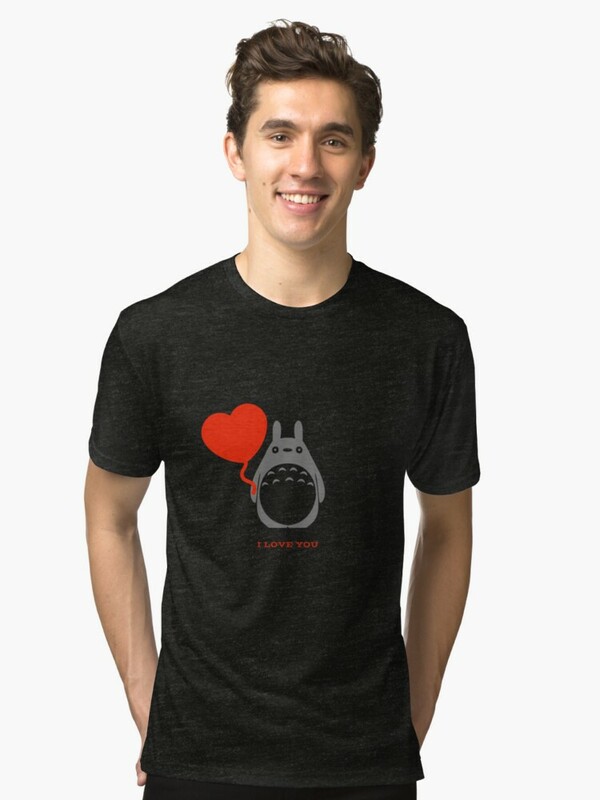 What a great gift for yourself and a friend who LOVES Studio Ghibli!